Oregon Mass Shooting Another False Flag To Hide Real News? Watch this and know that there are some very big stories not being reported in full: Russia taking over in Syria, the Doctors Without Borders bombing and the Trans-Pacific Trade Agreement. But this story is first-page news? See also Oregon Shooting Compilation) – some said this one was a drill too – not real. Thanks to Mike Adams’ detective work for Natural News for the text below. It’s a pretty simple two-step explanation. While the entire state-controlled media continue to deny any link between vaccines and autism, a top CDC scientist admitted last year to taking part in a massive science fraud cover-up to destroy evidence in the CDC’s possession that linked vaccines to autism in African-American boys. Christopher Harper-Mercer’s mother [Laurel Harper] is black and his father [Ian Harper] is white, making him a mixed race person with susceptibility to precisely the kind of autism risk described by CDC scientist Dr. William Thompson. 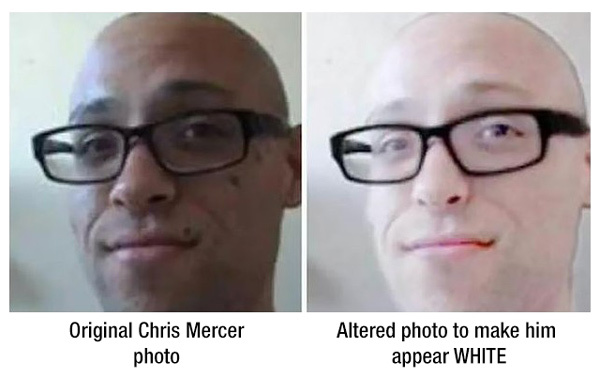 Most people don’t fully realize this because some in the media have gone to extraordinary lengths to try to paint Mercer as “white,” even altering photographs of him to change his skin tone to a more whitish hue. Read the full article at Yet another psych drug shooter: Oregon gunman Christopher Mercer was taking five types of medication, likely vaccine-damaged with autism spectrum disorder – NaturalNews.com – Also, see this New York Times article about Christopher, his mom, and their guns: Oregon Killer’s Mother Wrote of Troubled Son and Gun Rights – an ironic connection with the Sandy Hook shooting.